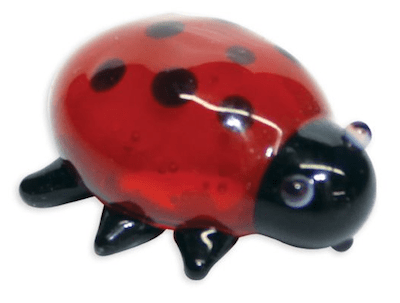 Dotty the Ladybug is a strong-willed feminist and feels best when free to come and go as she pleases. Dotty dislikes romance novels but loves romantic gestures. Her favorite flower is the dandelion, and she swoons when she receives a bouquet of them. Being very superstitious, she believes contact with humans is good luck. Her birthday is November 20, 2009.